We recently got back from a few weeks in Asia, spending the majority of the time in Hong Kong. One of the famous desserts of Hong Kong and my favorite is egg tarts. (蛋撻)They can be found at many bakeries across the city (although they can sell out quickly) or at dim sum. There are many kitchen supply and cookware shops around Shangahi Street (上海街) and Waterloo Road (窩打老道) in the Yau Ma Tei district where you can find anything you could need in your kitchen or to open your own restaurant. 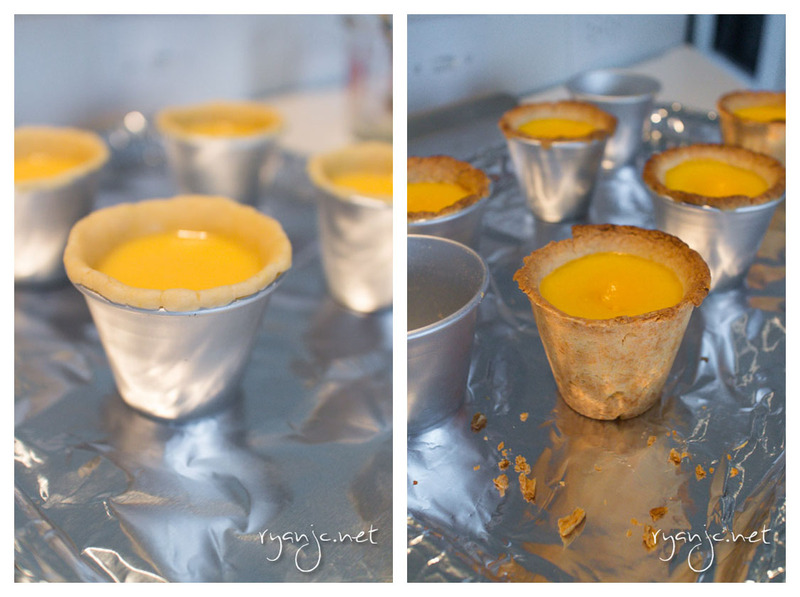 One of the things we bought were deep baking tin cups which I planned to use to make deep dish egg tarts. 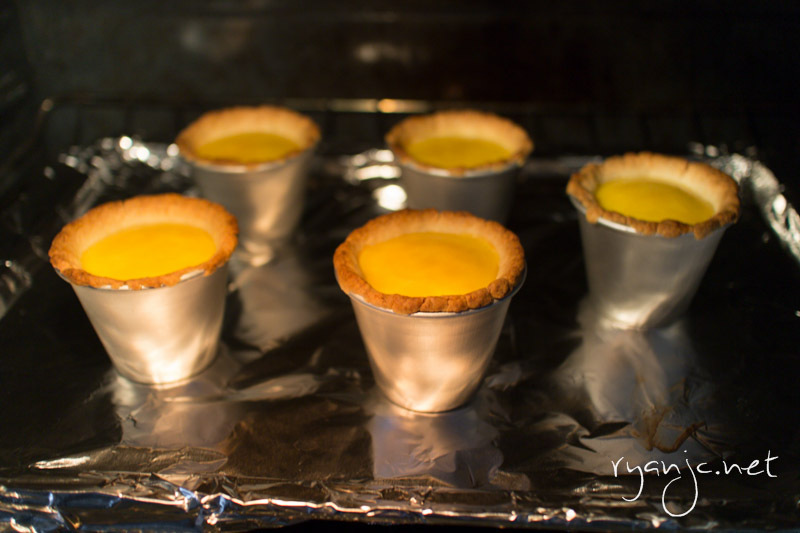 I have made egg tarts plenty of times in the traditional round style, but this time I wanted to try something more unique to create an even bigger egg tart. The idea came from the Yamazaki Bakery who makes something similar (a bit smaller). Their tarts aren’t as good, nor do they look as pretty as St. Honore’s, or Tai Cheong’s, but I like the concept and it usually comes with a small spoon. 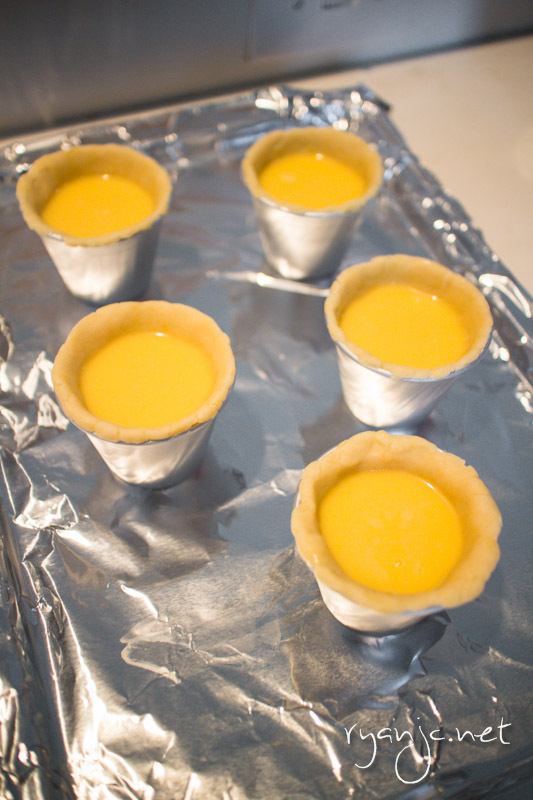 I used the same recipe from a traditional egg tart, but had to tweak the amounts slightly since the volume of these molds is about double, so I expected to make half as many as I would normally make. I wasn’t sure how it would turn out, but I consider it a success and the results tasted even better! I expected them to be undercooked, the crust to crumble into pieces as I took it out, or for it to be burned, but it turned out just fine. In fact, it slid out easier than the regular ones I make. I’ll definitely be making these again in the future.